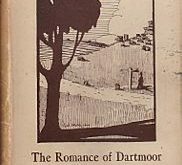 To write any book is definitely a labour of love, often with little reward especially if it’s on the subject of Dartmoor and here is a book that has taken several years to compile. It is also evident that a good few hundred walking miles were involved in collecting the many photographs for its content. Whether you are a keen Dartmoor walker, a Dartmoor enthusiast, a letterboxer, or simply someone who is going to visit on holiday, this book is a must. I don’t care how well you know Dartmoor there are times when you have walked by a tor or rock and then afterwards are unsure of its name or if it was indeed that tor. This is not surprising as Dartmoor is littered with tors and rocks and for sure this has happened to me on many occasions. Well here is the solution and one that must be included in any Dartmoor reference library. Whilst recently visiting the High Dartmoor Visitor’s Centre at Princetown I came across the book. A very rapid flick through it’s pages was enough to tell me that I had to have it there and then. Ken Ringwood MSc, B.A. Hons. is a retired geography teacher, a long standing member of the Plymouth branch of the Dartmoor Search and Rescue Team and a Dartmoor National Park Voluntary Warden. All qualifications which over the years has allowed him to compile and photograph the numerous tors and rocks included in his book. The publication begins with a detailed description of tor formation and the various features associated with them. This is followed by a photograph, Ordnance Survey grid reference along with any pertinent information on 365 tors and rocks located within the National Park boundary. Is this number by design or co-incidence I ask myself, because for anyone wanting a project for 2014 then there is a separate tor or rock for each day of the year? There is a map that locates and numbers each tor or rocks which when planning a walk is a quick guide to what is to be found on the route. The other notable aspect of this book is that ALL the proceeds for its sales will go to the Plymouth branch of the Dartmoor Search and Rescue Group. God forbid it may happen but any of us could well need their services whilst out on the moor which is another excellent reason to buy the book. It can be purchased directly from the Plymouth branch’s website (see link opposite), from any DNPA visitors centre or local book shops. I cannot recommend this book enough and will guarantee that it will see a lot of use when sat amongst peoples Dartmoor library. Congratulations must go to Ken Ringwood for producing such an excellent book. How can one purchase this book? There seems to be no purchase point on your website. Sadly it looks like it is currently out of print, you could try contacting the Plymouth Dartmoor Search and Rescue Team for who the porceeds of the book go to.